Just as each furnishing is crafted from materials reimagined, repurposed, and reclaimed, in the process of creation, each craftsman’s life is reimagined, repurposed, and redeemed. 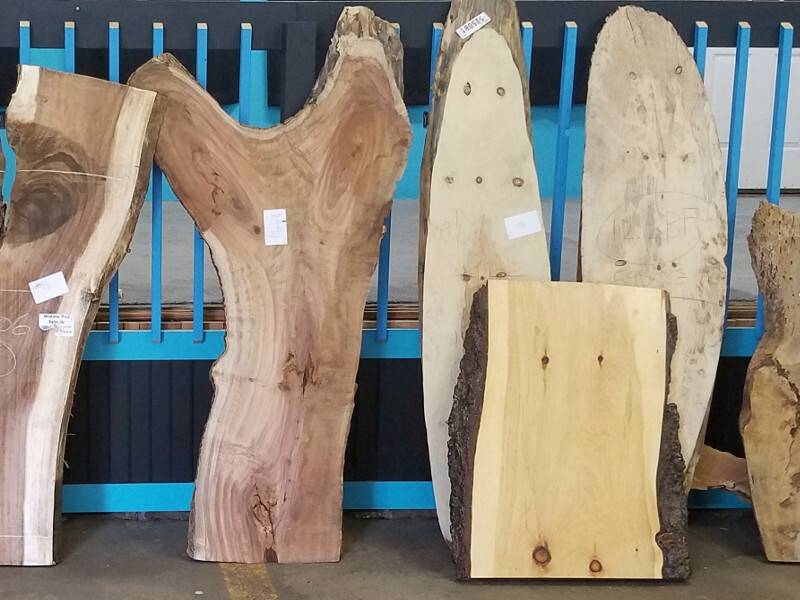 Vantz Live Edge Furniture company was born out of a mission to provide men in recovery from addiction with outlets for creativity, employment experience, career training, and safe, supportive, affordable housing within the nation’s first authentic recovery neighborhood. 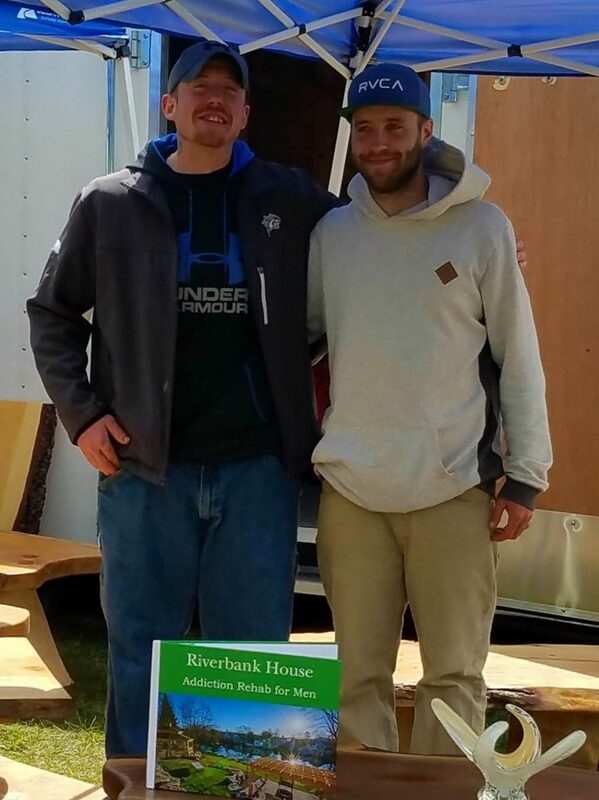 In a revolutionary response to the devastation of a national opioid addiction epidemic, Vantz Furniture is one of a variety of small businesses sponsored by the Riverbank House recovery community in the Lakes Region of New Hampshire. These small businesses allow men to rebuild lives of dignity and purpose through employment, and all business proceeds are then invested back into the recovery neighborhood in the form of scholarships that keep the cost of long-term residency affordable. 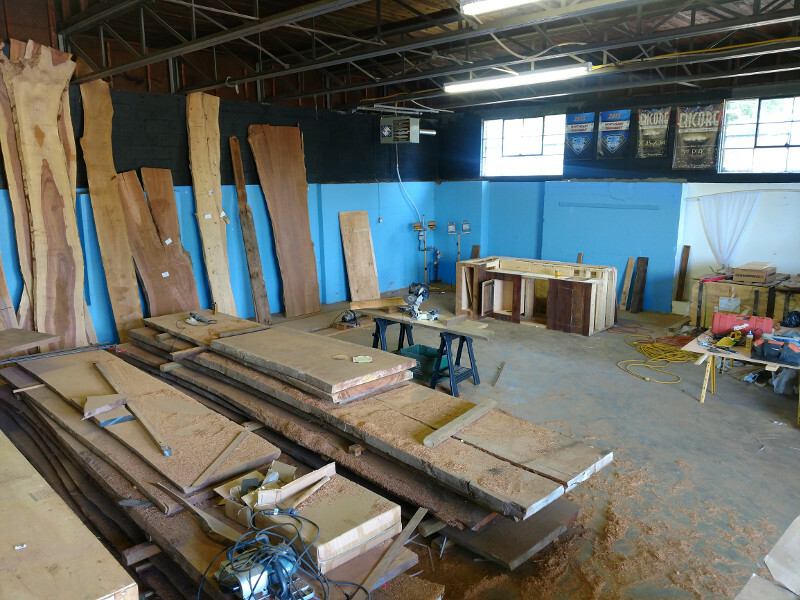 From a small, informal campus woodshop, Vantz has grown into a 4,000 square foot furniture showroom and production facility within walking distance of the Riverbank House recovery campus. 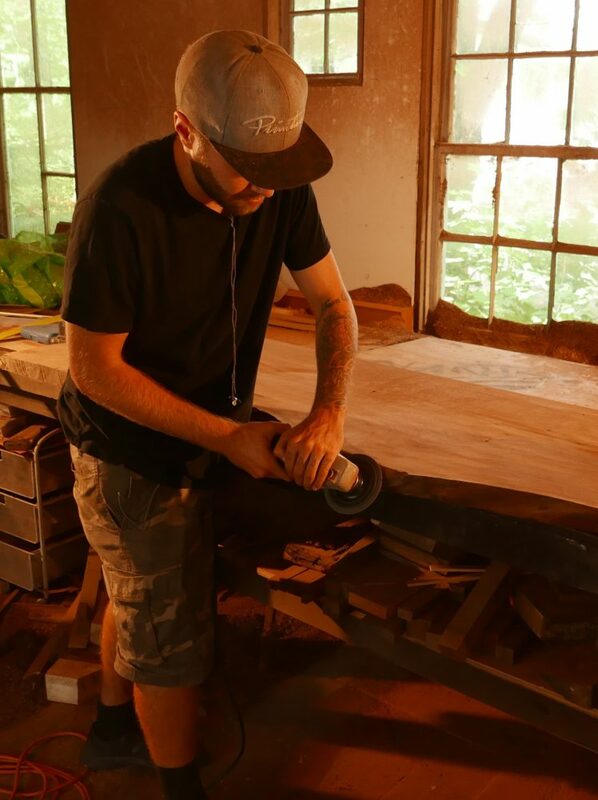 When the neighborhood’s Karma Café opened to the public in May of 2017, the restaurant was furnished with live edge tables and rustic booths created by two neighborhood residents, Kyle and Andi, and from that first project, with mentoring by members of the League of New Hampshire Craftsmen, Vantz Furniture was launched. 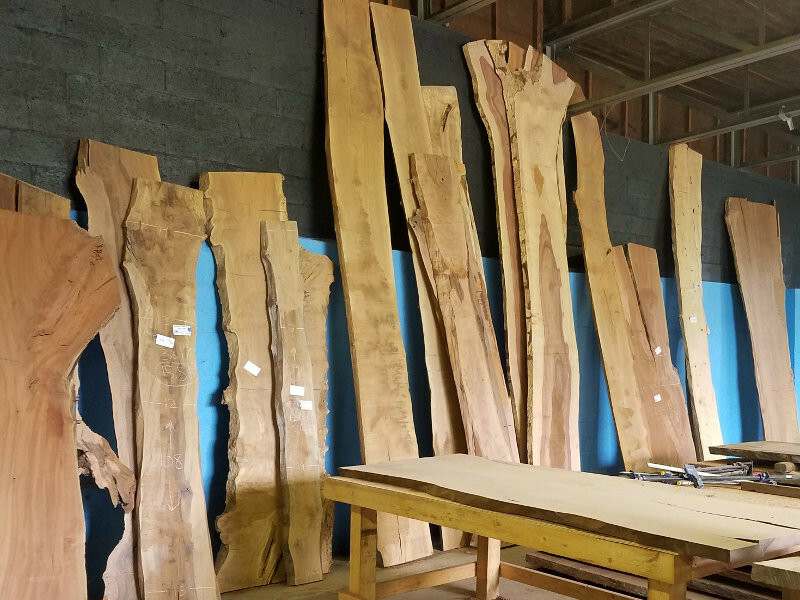 Like all Vantz craftsmen, both Kyle and Andi have found live edge furniture construction to be ideally suited to their new lives in recovery. 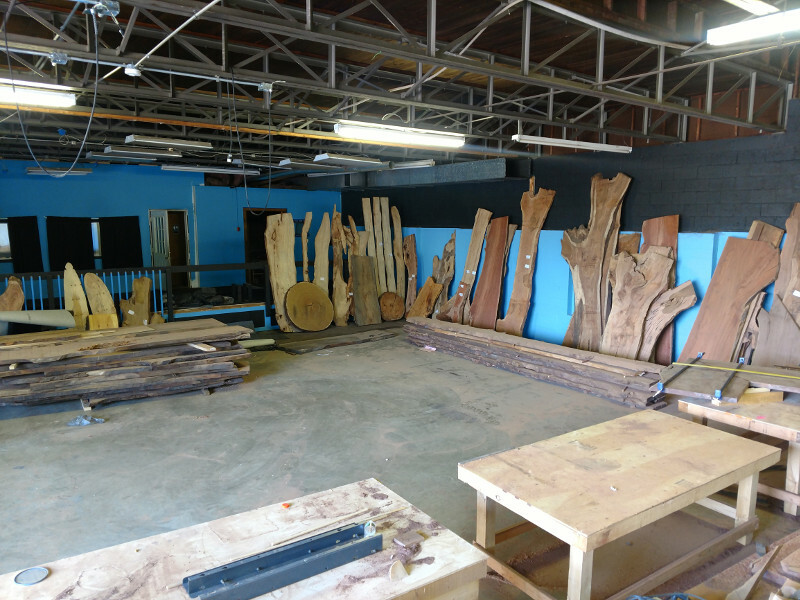 Vantz Live Edge Furniture is all about salvaged lumber and salvaged lives. It’s a partnership that represents repurposing and beautifying the fallen material at hand. It’s about bringing warmth and stability into the home, office, business, or garden.